Christmas is right around the corner, which means the stress of finding the perfect gift for your loved ones is approaching faster than many of us would like to admit. 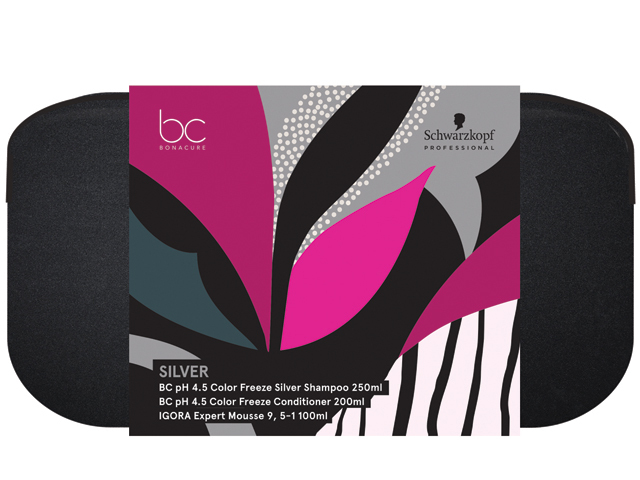 Thankfully, this year Schwarzkopf Professional has taken the stress out of finding the perfect gift for your loved ones – with their latest range of Christmas packs. Whether you're shopping for your secret Santa, new boyfriend, favourite co-worker, super fussy best friend or mother in law, Schwarzkopf Professional has your shopping list sorted. With the perfect trio of shampoo, conditioner, and treatment the BC Bonacure Christmas Packs come in five fabulous variants. The Color Freeze Rich and Color Freeze Silver trio packs, which are perfect for those wanting to maintain their colour over the festive season. For the recipient who may not be as invested in their hair care regime, the BC Peptide Repair Rescue Trio Pack is a godsend. With age rewinding properties the Q10+ Time Restore Trio Pack is a great way to spoil your mum or grandma this Christmas, while the Hyaluronic Moisture Kick Trio Pack will add a splash of moisture to even the driest of hair. For the beautiful blondes in your life, the BLONDME packs are a Christmas miracle. Coming in two variants: Cool Blondes Trio Pack, for neutralising unwanted warmth, and All Blondes Trio Pack for any type of blonde, these packs are specially formulated to care for the delicate structure of gorgeous blonde locks. Finding the right present for the men in your life is not a simple task; luckily Schwarzkopf Professional's 3DMEN Christmas pack contains everything that they need. Engineered specifically for men the duo pack includes a Hair & Body Shampoo and Textured Clay Paste that activates the roots, refreshed the scalp and strengthens the hair.